Want to write better Canadian English? These tools will help. Canadian English and Canadian customs are not the same as those of the USA or the UK. Canada has its own version of English. So it goes to reason that Canada has its own resources for writers. Here are a few of those resources that can help you write for a Canadian audience. Canadians don’t have to struggle with the age-old dilemma: Webster’s or Oxford. We have at least three of our own dictionaries. This is the Government of Canada’s repository of all things spelling and grammar related. It tells us exactly how to write in both languages, English and French. As such, Termium Plus is an ideal tool for Canadian writers and for translators into Canadian French. Canada has its own version of the AP Stylebook: the CP Stylebook. The Canadian Press is similar to the Associated Press. It is an agency that various media fund to pool their resources. One of those resources is their common style guide. So most Canadian newspapers, and many other Canadian media, follow the CP Stylebook. If you are writing something formal, but non-academic, this is your best bet. Unless, you are writing for a uniquely online audience. There is a style guide designed specifically for online writing. This is because people read differently online than offline. The Canada.ca Content Style Guide gives direction for all government of Canada websites, but it’s really the best style guide for any online writing, Canadian or otherwise. While I don’t follow it to the letter, much of my crisp and easy-to-follow writing on this blog is based on the Canada.ca style guide. I don’t want to confuse you with too many style guides. You nee only one, and either the CP or the Canada.ca guide will do. And Termium Plus will complement either of them, with help from one of the Canadian dictionaries. But the spelling section of the Queen’s University Style Guide is a very handy quick reference to have at your fingertips. Sure, we all know that hnour is spelled with a u and centre is spelled like, well, like centre. But there’s more to it than that. Additional resources related to Canada’s two official languages are available at the Language Portal of Canada. That includes a few that are just fun, but also to keep up to date on the latest elements. Yes, language keeps evolving. The Language Portal also links to resources to learn English better, whether it’s English as a second language, English through the school system or simply improving your English as an adult. Of course, there is nothing to stop Canadians from using a wealth of American. British and other resources to write better. 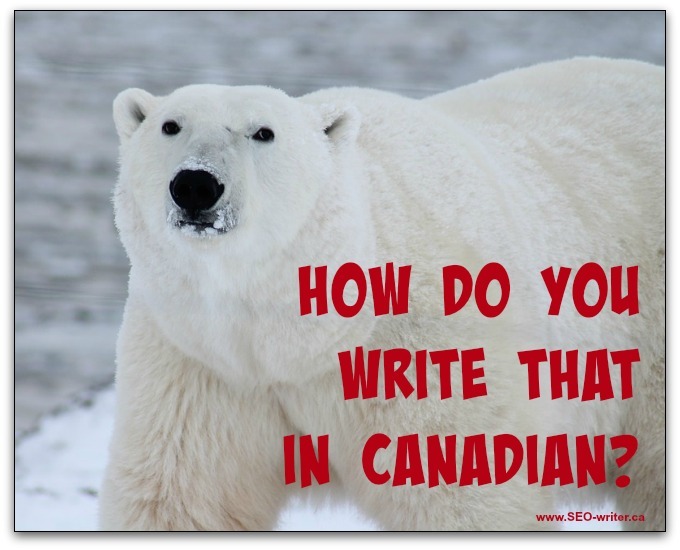 But when you need a Canadian resource to write more Canadian, these tools will help.